Welcome to Destin, Florida, and one of the world’s most beautiful beaches with sparkling, emerald green waters and sugar-like white sand. 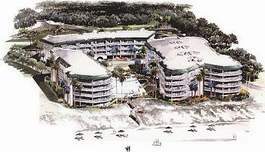 Whether you want a cozy condominium for a romantic get-away or a two or three-bedroom condominium for a family get-together, DestinFLCondo.com has the condominium for you. 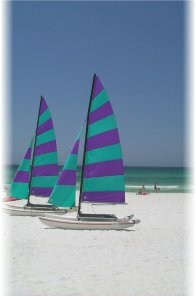 Condos in the following Destin resorts are available for rent. Enjoy your virtual visit to each of the following Destin condos. You’ll see photos of each condo, rates, amenities, and a description of each property listed below. This spectacular Gulf-front resort property is designed for the discriminating vacationer. Silver Beach Towers is the epitome of fine resort living. This beautiful luxury property features a large gulf side heated pool and spa, dune walkover, security gate and assigned covered parking and has access to all amenities at it’s sister property, Silver Shells Beach Resort, including tennis, basketball, video arcade, restaurant, day spa, exercise facility and indoor/outdoor pool. The Gulf-front exposure, perfect for catching sea breezes, watching glowing sunrises and sunsets and evening stargazing, is one of the unique accents, which make Silver Beach Towers so special. This luxury condominium is fast becoming one of the most requested retreats because of its elegance and stateliness. Click here for more information on Silver Beach – pictures, rates and availability calendar. Escape reality at an intimate retreat directly on the Gulf of Mexico. Dunes of Seagrove is located in a quiet area of Seagrove Beach and is the height of luxury living for the discriminating individual. You’ll love special property amenities like the unique 7,500 square foot lagoon swimming pool, tennis court, fitness center, covered parking and the availability of a meeting room. Watch the sun set over the Gulf of Mexico and reflect on the simple pleasures that make Dunes of Seagrove your special beach vacation haven. Experience the splendor of days gone by in this resort tucked amid nature and away from the hurried world. Located off Lakeview Drive, just off of Hwy 30-A. Click here for more information on Dunes of Seagrove – pictures, rates and availability calendar. Silver Shells Beach Resort is the premiere property of the Emerald Coast. Located in the heart of Destin near activities, restaurants, nightlife, shopping and golf, this resort spans nearly 31 acres on the Gulf of Mexico with 1000 ft. of beach front just west of Henderson Beach state park. This exclusive beach resort offers something for everyone including a 7,500 sq. ft. lagoon pool, heated indoor/outdoor pool, pool side cabanas, billiard room, tennis courts, basketball court, state of the art exercise facility, European day spa, men’s and women’s saunas and locker rooms, game room and restaurant. Classical elegance describes the units, which range from a spacious efficiency to stunning two bedroom Condominiums. Large private balconies, whirlpool tubs, spectacular views and every other luxury can be made available to please even the most discriminating vacationer. Come visit the Silver Shells Beach Resort for the vacation of a lifetime. Luxurious 2 Bedroom, 2 Bath units await you in St. Croix, and an elegant lanai suite await you in St. Maarten. Click here for more information on Silver Shells – pictures, rates and availability calendar. Majestic Sun, a luxury resort overlooking the Gulf of Mexico has 2,000 feet of magnificent, open shoreline with spectacular Gulf views of emerald green waters. This luxury condo will stun you with the amazing views. Relax around the 3,200 sq. ft. indoor/outdoor heated pool with waterfall accents, tropical landscaping and whirlpool. Relish the evening walks along the white sand beach, watching the sunset, enjoying the good life. Or, visit the on-site fitness center with dry sauna. Add the amenities of an 18-hole world-class golf course, 8 tennis courts, championship sport fishing, some of the finest choices in casual or gourmet dining, designer outlet and specialty boutique shopping and you have the total package of location, luxury and lifestyle. Click here for more information on Majestic Sun – pictures, rates and availability calendar. You've found your piece of paradise at Leeward Key, on Destin’s quiet side, away from it all, yet close to recreation, relaxation, shopping, and beach activities. The views are breathtaking from your balcony where you can see miles of unspoiled shoreline and spectacular sunsets. It's the perfect place for a special getaway and ideal for families with children. Large, heated pool provides perfect enjoyment of spring, fall and winter days. Just minutes from challenging area golf and also from the largest designer outlet shopping center in the southeast United States. Ideal for year round family vacation fun. Click here for more information on Leeward Key – pictures, rates and availability calendar. Maravilla is a 33.7 Acre community of prime Destin gulf front property on Scenic Highway 98. There is 2.5 acre deeded gulf front park, your own private beach access, two luxurious swimming pools, tennis and shuffleboard courts, and a clubhouse with a game and exercise room. Maravilla is convenient to Destin's Deep Sea fishing fleet, world class restaurants, water sports, theme parks, championship golf courses and shopping galore! Click here for more information on Maravilla – pictures, rates and availability calendar.